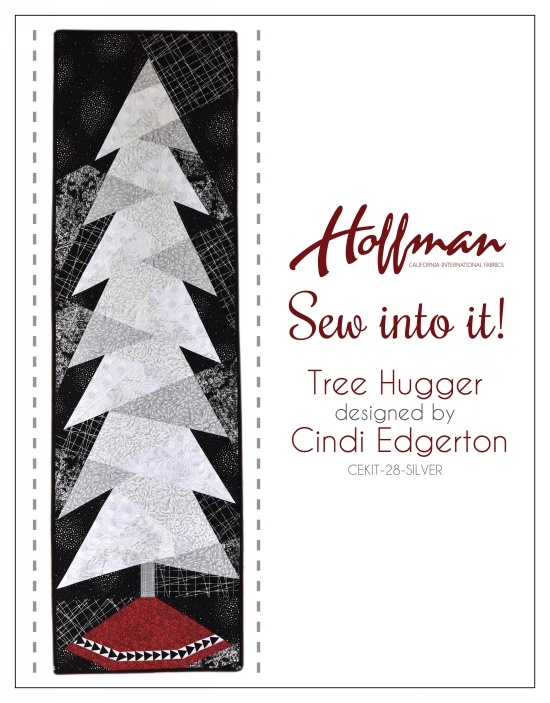 Hoffman, Tree Hugger Kit- includes pattern, Cindi’s easy-to-follow assembly instructions with step-by-step photos, enough tissue paper foundations to make 2 tree quilts, and all the fabric you’ll need for the quilt top of the tree. Everything is cut in a perfect rectangle or square so that each fabric is sized to match with the paper-piece instructions. Little trimming and minimal waste! Amounts needed for border, binding and backing can be found on pattern. Ideal for all skill levels. Finished size is 26-3/4" x 76-3/4". Decorate a door, make an Advent calendar or hang Tree Hugger to take the place of an artificial or real holiday tree.